Tired and Heavy Legs is a condition, described as un unpleasant sensation of pain and heaviness in the lower limbs. It’s a physical condition caused by poor circulation. Blood in the lower parts of the body tends to accumulate causing a buildup of pressure. When pressure builds up in the lower parts of the body, it prevents fresh blood from entering the muscle tissue, causing fatigue and the feeling of heavy legs. You are more exposed to heavy leg syndrome if you are pregnant or obese because the excess of body weight associated with pregnancy or obesity causes disturbances in blood circulation in your legs. Smoking, high cholesterol, high blood pressure cause damage to vein and having a history of heavy legs in the family. You will experience a sensation of heaviness, numbness, tingling, itching, heat, edema, and muscular cramps which intensifies in the presence of heat and becomes stronger at the end of the day. This treatment reduces your pain and swelling legs with natural extracts, primarily indicated in chronic venous insufficiency from Centella asiatica, Horse Chestnut, Butcher’s broom, Grape seed, and Escin Sitosterol Phytosome, a triterpene saponin that strongly improve the microcirculation. Menthol gives a cooling, refreshing and soothing effect. 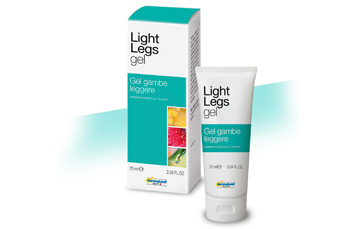 apply a generous quantity of the product onto the legs preferably in the morning. Its practical and fresh texture is immediately absorbed without leaving an oily residue and provides instant relief to the areas where applied.